Marcel Proust was one of the greatest writer. Less known, he was also a creative hardware hacker. 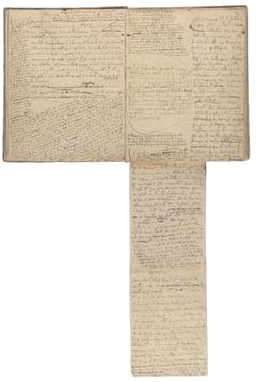 The picture shows one of his notebooks, where he wrote A la Recherche du Temps Perdu, no less. Sacré Marcel! by Jean-Paul Vetterli is licensed under a Creative Commons Attribution 3.0 Unported License.